We at Square Deal luton understand how much of an inconvenience it is when your washing machine breaks down and is in need for repair. We have been established since 1975 and Sell, Rent and Repair domestic appliances such as Washing machines, Washer dryers, Tumble Dryers, Electric Cookers etc. We take pride in our service to you the customer and to back this up we give a six months warranty on our repairs. 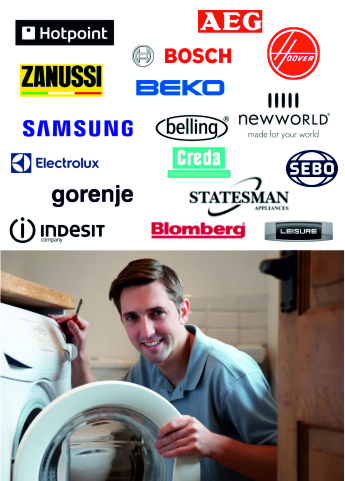 Whether it is your washing, washer dryer or maybe your tumble dyer or electric cooker that has gone wrong you can be sure that we will give you a professional service that you can trust. On the day of your appliance repair you are able to ring us and we will give you a 2 hour time slot on when our engineer will call. 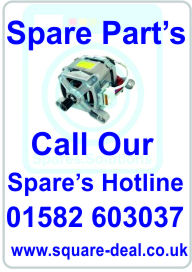 We are also able to give you a call 30 minutes before we arrive to let you know that our repair engineer in on their way to repair your appliance. We can normally call out to you to repair your appliance within 48 hours on when the fault is first reported to us for repair. Washing Machine repairs. Washer Dryer repairs. Condenser Tumble dryer repairs. Vented tumble dryer repairs. Electric Cooker repairs. Check out our Appliance Rental deals. We repair most makes of machines. Luton Hoo is an English country house and estate between the towns of Luton, Bedfordshire and Harpenden, Hertfordshire. Most of the estate lies within the civil parish of Hyde, Bedfordshire. The unusual name "Hoo" is a Saxon word meaning the spur of a hill, and is more commonly associated with East Anglia. Luton is a large town, borough and unitary authority area of Bedfordshire, England. Luton and its near neighbours, Dunstable and Houghton Regis, form the Luton/Dunstable Urban Area with a population of about 258,000. Luton is home to League Two team Luton Town Football Club, whose history includes several spells in the top flight of the English league as well as a Football League Cup triumph in 1988. They play at Kenilworth Road stadium, which has been their home since 1905. London Luton Airport, opened in 1938, is one of England’s major airports. During the Second World War it doubled as an RAF base. The University of Bedfordshire is based in the town. The Luton Carnival, which has traditionally been held on the Whitsun May bank holiday, is the largest one-day carnival in Europe. It has for the past two years been held on the Sunday instead. In 2012, it was moved to July to coincide with the Olympic Torch Relay and celebrations. The hat manufacturing industry, for which Luton became famous, began in the sixteenth century, quickly making Luton the main centre for Bedfordshire and Hertfordshire. The industry dominated the local economy, so much so that during the Great Depression of the 1930s the town’s unemployment was significantly lower than the national average. As production shifted from straw to felt, Luton’s hats were marketed across the globe. Earliest settlements in the Luton area can be traced back over 250,000 years, but the town’s foundation dates to the sixth century as a Saxon outpost on the River Lea, from which Luton derives its name.